The previous edition of the World Cup saw Pool A being the 'Group of Death' after it comprised of England, Australia, Wales and Fiji along with Uruguay. As a result, England became the first hosting team to be knocked out of the group stage despite having the home advantage. However, considering the rankings this time around, New Zealand, England, Australia and Ireland are set to be in four different pools after occupying the top tier and are likely to be pooled with one each among the second tier teams in ranking - Wales, Scotland, France and South Africa. The third tier will comprise of Argentina, Japan, Georgia and Italy. Wallabies head coach Cheika expects a highly competitive tournament in Japan. "There could well be three equally tough groups this time," he said before flying out of Sydney. 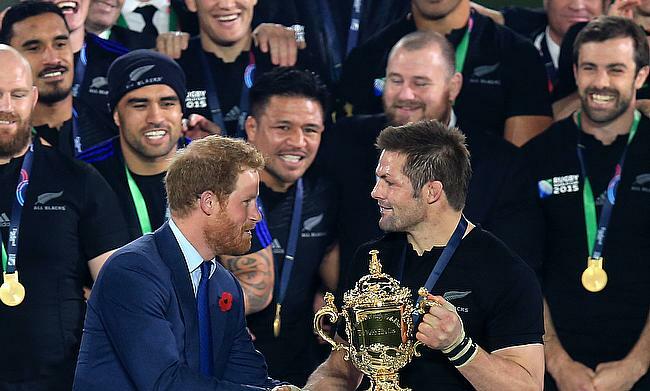 "I think World Rugby is achieving what it set out to in creating a very level playing field. If you look at the 12 teams already nominated, it would have never before been the case where that third band of seeds would be so strong. "Argentina were semi-finalists two years ago, Japan are hosts and have claimed some big scalps, Georgia have really improved, a big rugged side, and Italy can do anything on their day. "And then you've got Fiji, who haven't even qualified yet. For us, it's more about getting ourselves right than worrying about other teams."